ARRoc is sponsoring a May 5th day trip to Skylands Sanctuary and Animal Rescue for farmed animals in Wantage, NJ. 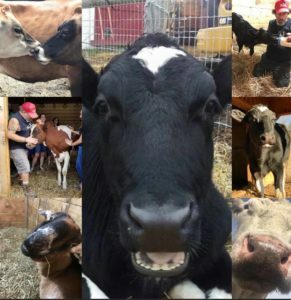 Travel by coach bus, meet the animals, and hear the founder and President, Mike Stura, tell about the animals he rescued! Lunch at the farm and snacks on the Big Vegan Fun Bus included! Please arrive at the 31F Park and Ride by 7 am. The bus will leave at 7:15, and we expect to return by 9 pm.